Thursday 31st October 2013 – 6.15pm – Murray MacGregor. For one member of staff at West Midlands Ambulance Service, taking part in ‘Wear It Pink’ day last Friday was particularly important. Susan Partridge, who works at Headquarters was diagnosed with breast cancer in February after a pain appeared following a chest infection. Five weeks later she had a mastectomy and underwent six lots of chemotherapy and is now on Tamoxifen Tablets for the next five years. Her last chemo was in August. Susan was determined to garner the support of other staff at the Trust and raise money for this very worthy cause. 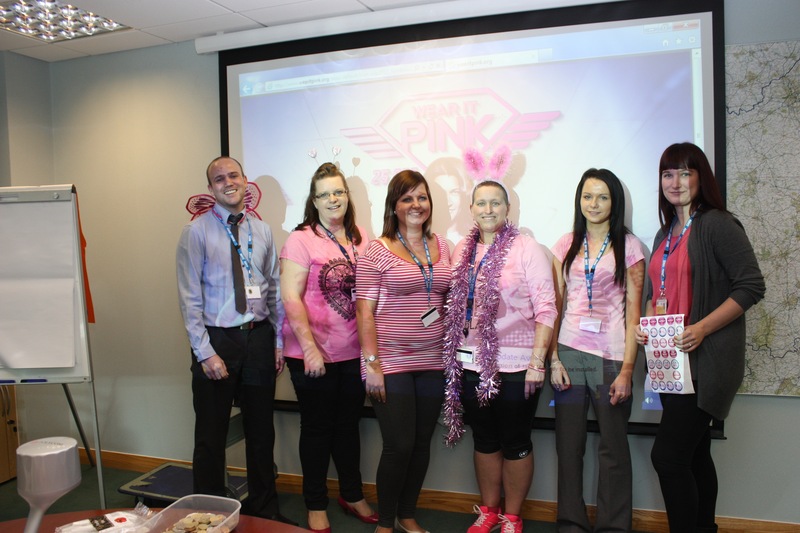 For staff based at Headquarters, there were games, a raffle, a cake sale and most non-operational staff dressed in pink – even some of the blokes! 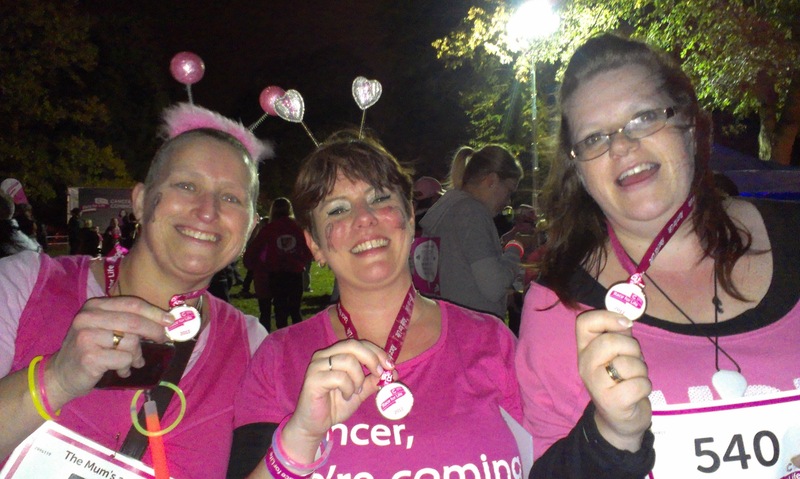 Susan’s drive and determination motivated many people to get involved and raise over £600 for the Breast Cancer Campaign. In addition, a number of Patient Transport Service staff who work in the Non-Emergency Operations Centre staff within University Hospital Birmingham also did their bit managing to raise almost £120. Susan said: “The walk was an emotional one, but an enjoyable one too as the money raised will all be going to a very good cause. I cannot thank Claire and Fiona enough for their support during the walk and also while I was undergoing my treatment. “To say that I am thrilled to complete the course in the time when it has only been two months since my last chemotherapy session is an understatement. Thursday 31st October 2013 – 3pm – Steve Parry. Two patients have been taken to hospital following a road traffic collision on the B4361 at Nordan, north of Leominster, this morning. West Midlands Ambulance Service was called to the scene just after 11.30am. One ambulance, a paramedic in a rapid response vehicle; a doctor from the Mercia Accident Rescue Service (MARS) ; a paramedic officer, together with the Midlands Air Ambulance based at Cosford and the Welsh Air Ambulance, were sent to the scene. “An elderly woman was trapped in her car for nearly two hours. She was released and treated for chest injuries. The patient was anesthetised by a doctor and immobilised with a neck collar and placed on a spinal board before being airlifted to the University Hospital of North Staffordshire. “In the second car involved, medics treated a 2-year old child initially unconscious and with serious head injuries. “The child was airlifted to the Birmingham Children’s Hospital for further assessment and treatment. Wednesday 30th October 2013 – 10.30pm – Suzie Fothergill. A woman has been rescued by ambulance crews following an incident in a heavily wooded area in Lickey today. West Midlands Ambulance Service was called to a wood near to Monument Lane in Lickey shortly before 2pm this afternoon. An ambulance, a paramedic officer and the Trust’s Hazardous Area Response Team were dispatched to the scene. A West Midlands Ambulance Service spokeswoman said: “Crews were called to reports of a woman who had fallen in a steep heavily wooded area. Crews arrived at the scene to find a woman, believed to be her 50’s, who had sustained an ankle injury. Tuesday 29th October 2013 – 4.40pm – John Hawker. 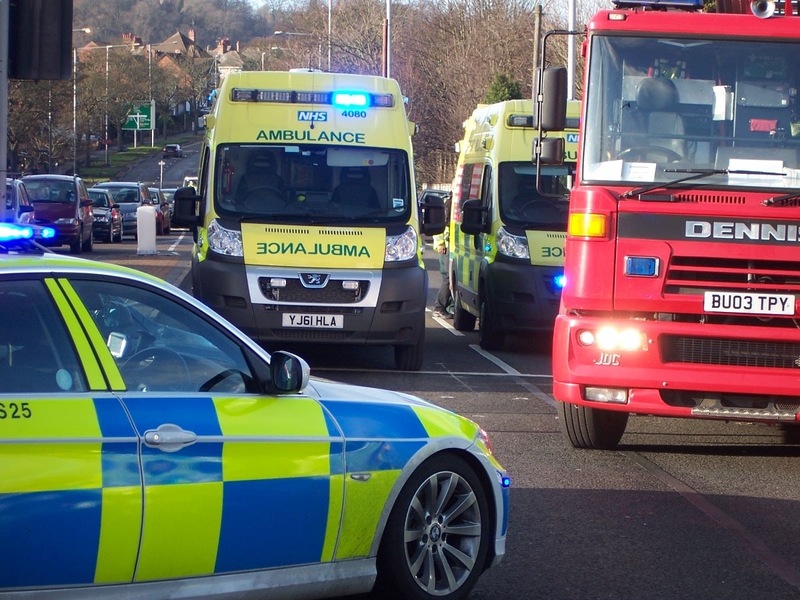 A pedestrian has been seriously injured following an RTC in Birmingham this afternoon. The incident occurred on Kyotts Lake Road, Sparkbrook, at around 2.25pm. Two ambulances, a paramedic officer and the Midlands Air Ambulance from Cosford with a Doctor on board attended the team. A West Midlands Ambulance Service spokesman said: “Crews arrived to find a man who had been in collision with a van. “The man had suffered serious head injuries and had a reduced level of consciousness. He received emergency treatment and was also anaesthetised by the Doctor at the scene. “The man, believed to be in his late 50’s, was transferred by land ambulance to Queen Elizabeth Hospital Major Trauma unit for further emergency treatment. Tuesday 29th October 2013 – 6.46am – Murray MacGregor. A man has undergone surgery after a crash that saw a car roll over on the A50 in Stoke on Trent. Two ambulances, a rapid response vehicle, two BASICS Emergency doctors and a paramedic officer were sent to the scene. A West Midlands Ambulance Service spokesman said: “The small Peugeot had collided with the central reservation causing significant front end damage. “The driver, a man in his 20s or 30s was initially trapped by his legs. Working with the fire service, ambulance staff extracted the man after the roof was removed. “The man was immobilised before being taken to the Major Trauma Centre at University Hospital of North Staffordshire with a broken left leg and internal injuries. Monday 28th October 2013 – 7.30pm – Chris Kowalik. A man has died after the van he was driving collided with a lorry in Staffordshire. An advanced community paramedic in a rapid response vehicle, a senior paramedic officer, an ambulance crew and the Midlands Air Ambulance from Staffordshire attended. A West Midlands Ambulance Service spokesman said: “Unfortunately nothing could be done to save the van driver and he was confirmed dead at the scene. “The lorry driver, a man believed to be in his forties or fifties, had back pain. He was immobilised with the use of a spinal board and neck collar and was taken to Queen’s Hospital in Burton. Monday 28th October 2013 – 12.05pm – Murray MacGregor. After all the fears of the overnight storm, it is easy to forget that the clocks went back over the weekend and today is the first day commuters will experience the darker evenings. 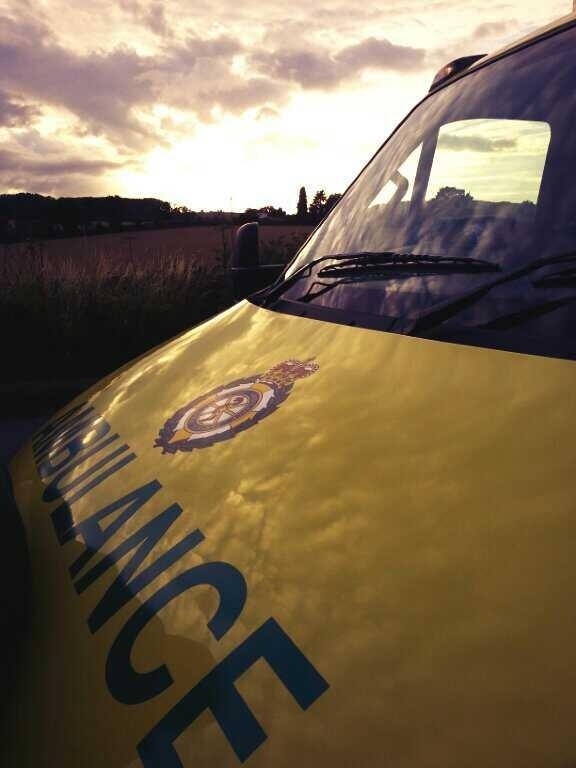 Dusk arriving ever earlier brings with it an increase in calls and a number of challenges for the ambulance service. However, the public can do their bit to help. We would urge people who are out and about in the dark to make sure that they are visible to other road users. While most school children will be on their half term holiday, drivers need to be aware that there could be many more pedestrians out and about in the dark than previously. Whether you are walking home from school in the dark or even out out walking the dog, have you got anything reflective on? 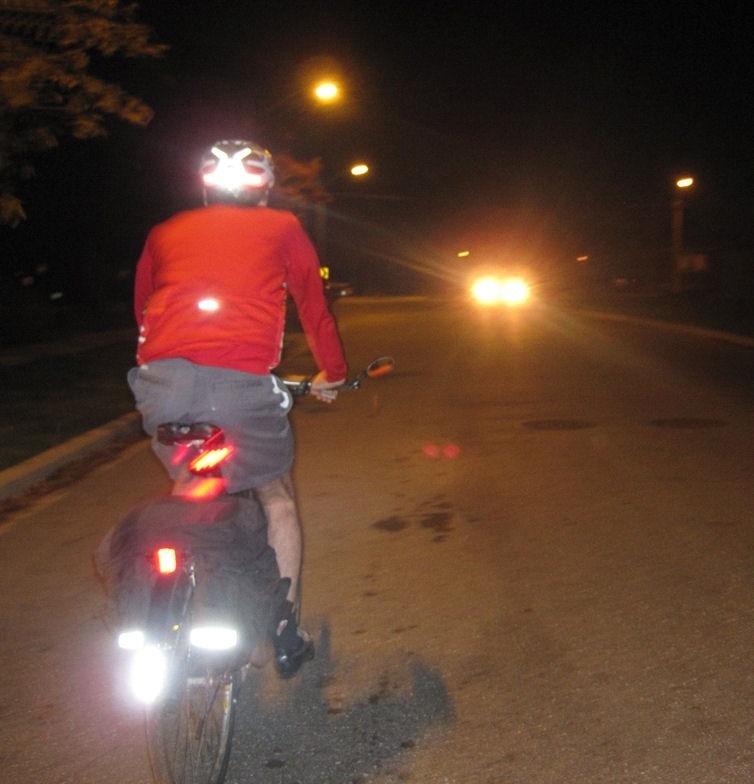 Equally, people riding bicycles should ensure that they have working bike lights – it is the law. 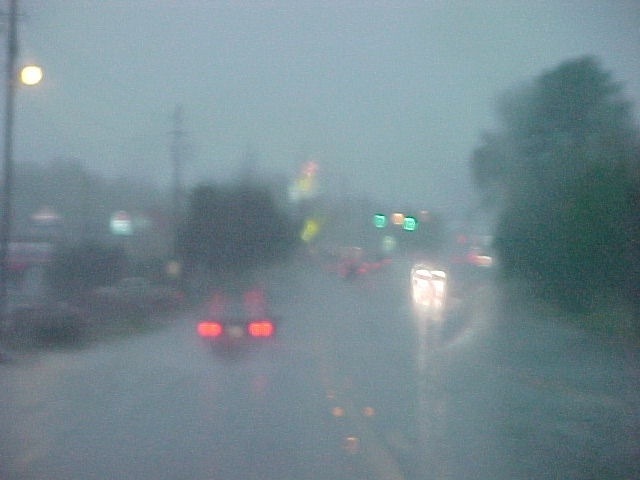 Reflectors on your clothing and bike can only help. We would also strongly recommend that you wear a cycle helmet too. Are we able to find your house at night? It might sound like a simple question, but each year West Midlands Ambulance Service gets called to a large number of incidents where it is almost impossible for ambulance staff to find the property where the patient is, because they can’t identify the house from the road. The situation always gets worse with the longer hours of darkness. 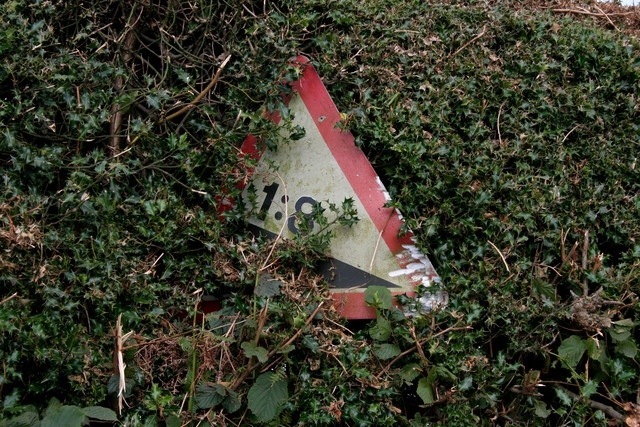 Our crews regularly find house numbers and even road signs obscured by hedges that have overgrown over the summer or paint work that has faded. In cases where every second counts, being able to find a property quickly really can make the difference between life and death. Spending a few moments making sure we can identify your house really could make a massive difference if the worst happens. 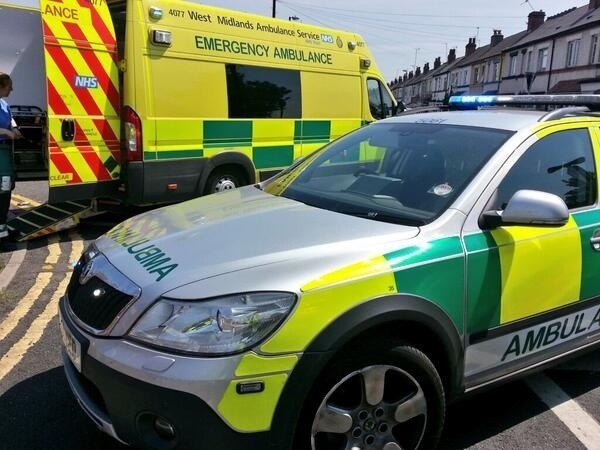 A West Midlands Ambulance Service spokesman said: “This advice may sound like the nanny state, but our experience tells us that each year our crews are called out to incidents where both of these scenarios are a reality. It may sound like common sense, because it is. Sunday 27th October 2013 – 9.15am – John Hawker. A pedestrian has died following an incident in Stoke on Trent in the early hours of this morning. The incident occurred on the High Street, Tunstall, at around 4.30am. An ambulance and a paramedic officer attended the scene. A West Midlands Ambulance Service spokesman said: “Crews arrived to find a man and a car that had been in a collision. “The pedestrian, a man, had suffered serious injuries and was in traumatic cardiac arrest. Sunday 27th October 2013 – 9.00am – John Hawker. A man has been seriously injured following an RTC in Coventry in the early hours of this morning. The incident occurred near the junction of Bruce Road and Beake Avenue at around 1.00am. An ambulance and a rapid response vehicle attended the scene. A West Midlands Ambulance Service spokesman said: “Crews arrived to find a man on the floor with head and leg injuries. It is believed he had been in collision with a car. “The man, believed to be in his late teens, received emergency treatment at the scene and his condition was stabilised. Saturday 26th October 2013 – 5.00pm – John Hawker. 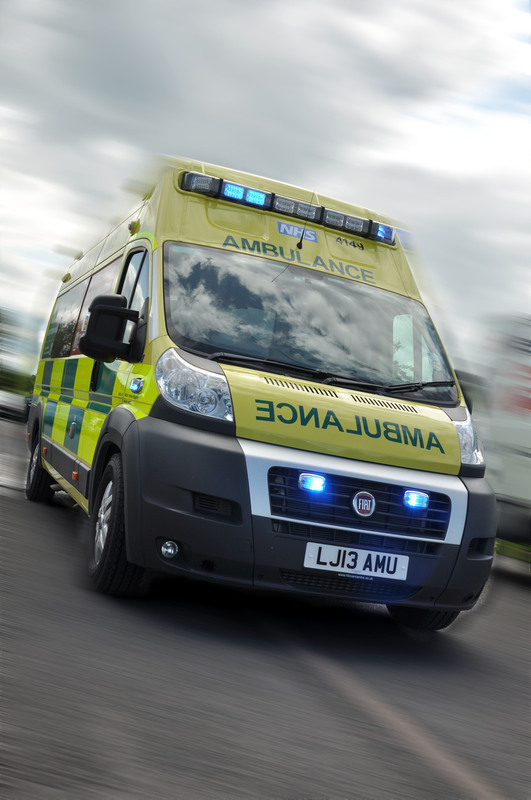 A man has died following an RTC in Staffordshire this morning. The crash occurred on the A5, Norton Cannes at around 11.20am. An ambulance, a rapid response vehicle and a paramedic officer attended the scene. A West Midlands Ambulance Service spokesman said: “Crews arrived to find two cars that had been in a significant collision and suffered substantial damage. A third car had suffered minor damage. 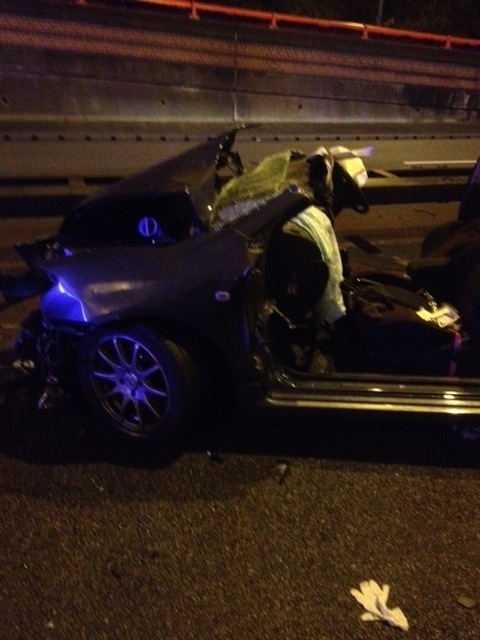 “A man had been ejected from the vehicle he was driving and was in traumatic cardiac arrest. Unfortunately, it quickly became apparent that nothing could be done to save the man and he was confirmed dead at the scene. “The man driving the second car, believed to be in his 70’s, suffered a laceration to his head and was also suffering from shock. He received treatment at the scene and was transferred by ambulance to New Cross Hospital for further treatment. The man was fortunate not to have suffered more serious injuries. Saturday 26th October 2013 – 4.45pm – John Hawker. 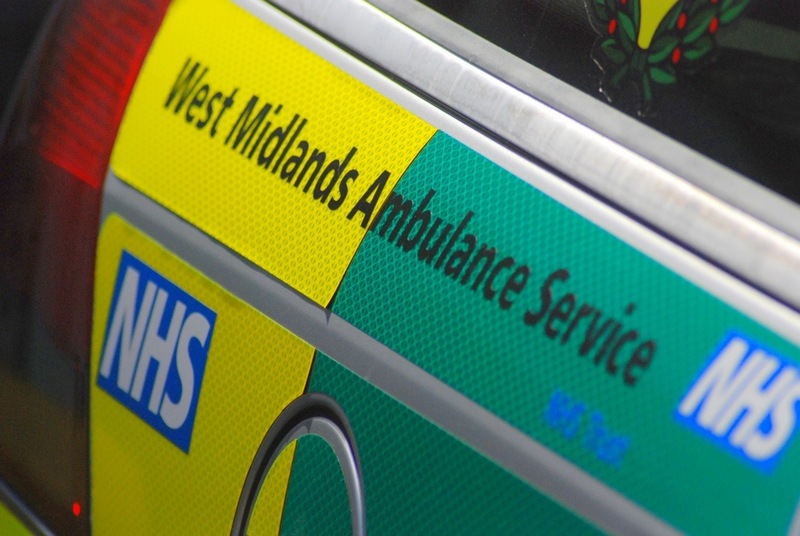 A child has suffered serious leg injuries following an RTC in Walsall this morning. The incident occurred near to The Broadway Medical Centre, Broadway, at around 11.30am. An ambulance, a rapid response vehicle, a paramedic officer and the Midlands Air Ambulance from Cosford attended the scene. A West Midlands Ambulance Service spokesman said: “Crews arrived to find a child that had been in collision with a car. The boy is believed to be nine years old. “The boy had suffered serious leg injuries and received emergency treatment including pain relief from the medics at the scene. Saturday 26th October 2013 – 4.30pm – John Hawker. A motorcyclist has been seriously injured following an RTC in Oldbury this morning. The crash occurred in Unity Place at around 11am. An ambulance, a paramedic officer and the Trusts CARE team attended the scene. “The man riding the motorcycle, believed to be in his mid 20’s, suffered a serious leg injury. He received emergency treatment at the scene including receiving pain relief and being immobilised using a spinal board and neck collar. Friday 25th October 2013 – 4.45pm – Steve Parry. Two people have died following a road traffic collision near Tong in Shropshire. An ambulance, a paramedic officer, a paramedic in a rapid response car and the Medical Emergency Response Incident team (MERIT) were sent to the scene from their Cosford Air Ambulance base. A West Midlands Ambulance Service spokesman said: “Crews responded to a collision between a car and lorry. “Sadly, it quickly became apparent to crews that despite their efforts nothing could be done to save two patients travelling in the car. They were confirmed dead at the scene. 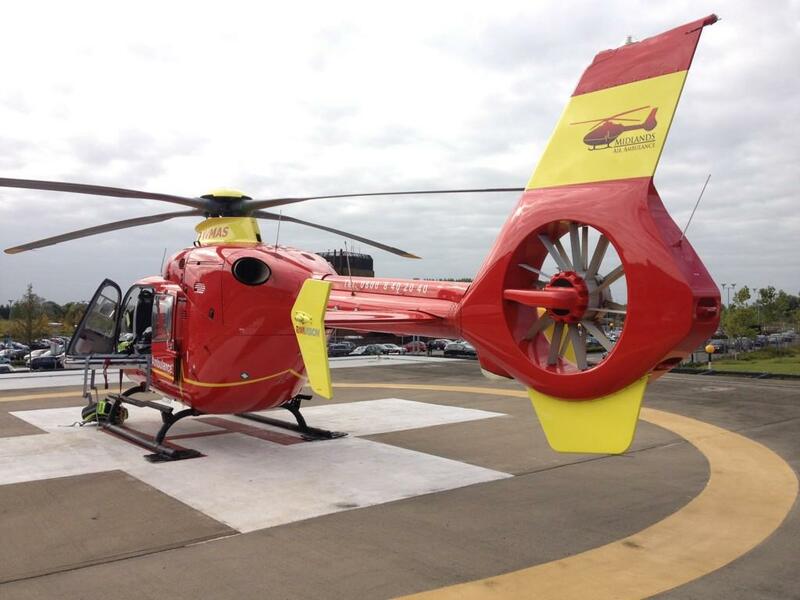 A motorcyclist has been airlifted to hospital with serious injuries after colliding with a deer near Tredington, Shipston on Stour, this afternoon. West Midlands Ambulance Service was called to the incident on the A3400 at approximately 2.30pm. An ambulance, a paramedic in a rapid response vehicle, together with the Warwickshire and Northamptonshire Air Ambulance attended the scene. A West Midlands Ambulance Service spokesman said: “Crews responded to a collision between a motorcycle and deer. “A man in his seventies was treated for a fractured leg, chest and shoulder injuries. “The patient was immobilised using a neck collar, spinal board and pelvic splint. He was also given pain relief and anaesthetised by a doctor aboard the air ambulance before being airlifted to the University Hospital of Coventry and Warwickshire. “It is understood the Deer died in the collision”. Wednesday 23rd October 2013 – 5.20pm – Suzie Fothergill. A child has been airlifted to hospital following a road traffic collision in Herefordshire today. West Midlands Ambulance Service was called to the incident on Perseverance Road in Hereford at approximately 3.25pm this afternoon. Two ambulances, a rapid response vehicle, a paramedic area support officer and the Midlands Air Ambulance from Strensham were dispatched to the scene. Wednesday 23rd October 2013 – 1.00pm – Suzie Fothergill. A man has died following an incident in the Black Country today. West Midlands Ambulance Service was called to reports of a road traffic collision on Kitchen Lane in Wolverhampton shortly before 9.30am this morning. An ambulance, a rapid response vehicle, a paramedic area support officer and the Midlands Air Ambulance from Cosford were sent to the scene. A West Midlands Ambulance Service spokeswoman said: “Crews arrived on scene to find a single vehicle that had been in collision with a lamp post. Wednesday 23rd October 2013 – 12.00pm – Suzie Fothergill. A woman has died following an incident in Staffordshire today. 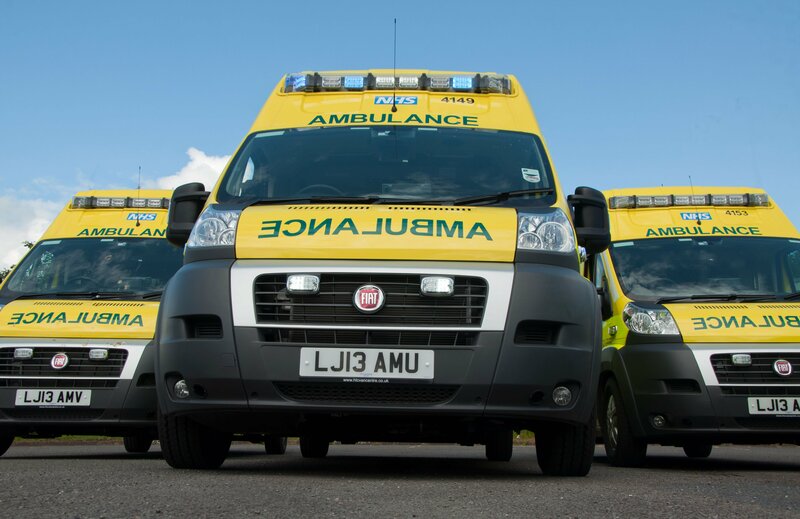 West Midlands Ambulance Service was called to reports of a road traffic collision near to the junction of Bangley Lane and the A453 in Drayton Bassett shortly before 7.20am this morning. An ambulance, a paramedic area support officer in a rapid response vehicle and the Midlands Air Ambulance from Cosford were dispatched to the scene. A West Midlands Ambulance Service spokeswoman said: “Crews arrived on scene to find a single vehicle that had left the carriageway and was found in the small ditch. Tuesday 22nd October 2013 – 8pm – Chris Kowalik. A man has died after the car he was driving collided with a lorry in Herefordshire. West Midlands Ambulance Service was called to the A438 at Willersley shortly after 2.55pm today. Two ambulance crews, a BASICS emergency doctor from MARS (Mercia Accident Rescue Service) in a rapid response vehicle, a paramedic area support officer in a rapid response vehicle and the Midlands Air Ambulance from Strensham attended. A West Midlands Ambulance Service spokesman said: “The driver of the car was freed from his vehicle and there were prolonged attempts to resuscitate him. Saturday 19th October 2013 – 5.45pm – Chris Kowalik. 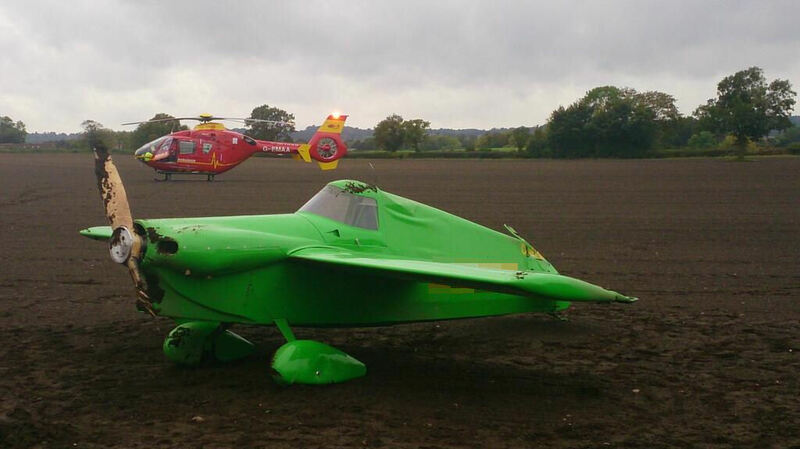 The pilot of a light aircraft that ended-up upside down in a field near Wolverhampton Halfpenny Green Airport has escaped without serious injury. West Midlands Ambulance Service was called shortly after 11.50am today. An advanced community paramedic in a rapid response vehicle, a paramedic area support officer in a rapid response vehicle, the Midlands Air Ambulance from Cosford and an ambulance crew attended. A West Midlands Ambulance Service spokesman said: “Crews arrived to find the single-seater light aircraft upside down in a ploughed field not far from the airport runway. Fire crews at the scene righted the aircraft and the pilot, a man in his sixties, got out. Saturday 19th October 2013 – 2.25pm – Chris Kowalik. A motorcyclist has been seriously injured in a collision with a car in Worcestershire. West Midlands Ambulance Service was called to the junction of the A38 and Church Lane in Wychbold, shortly before 8.10am today. A West Midlands Ambulance Service spokesman said: “A Community First Responder who was in the area stopped to help as did a passing firefighter on his way to work. They helped the ambulance crew in giving CPR to the motorcyclist, a man believed to be in his thirties or forties and who had suffered a cardiac arrest. Friday 18th October 2013 – 10.20pm – Chris Kowalik. 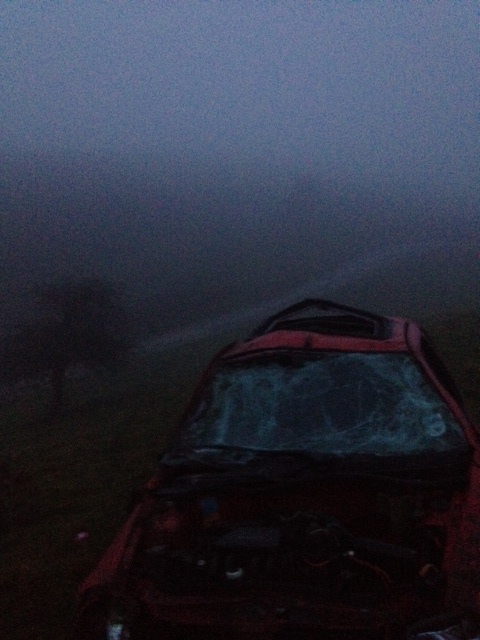 A woman has been taken to hospital after the car she was driving left the road and overturned in a field. 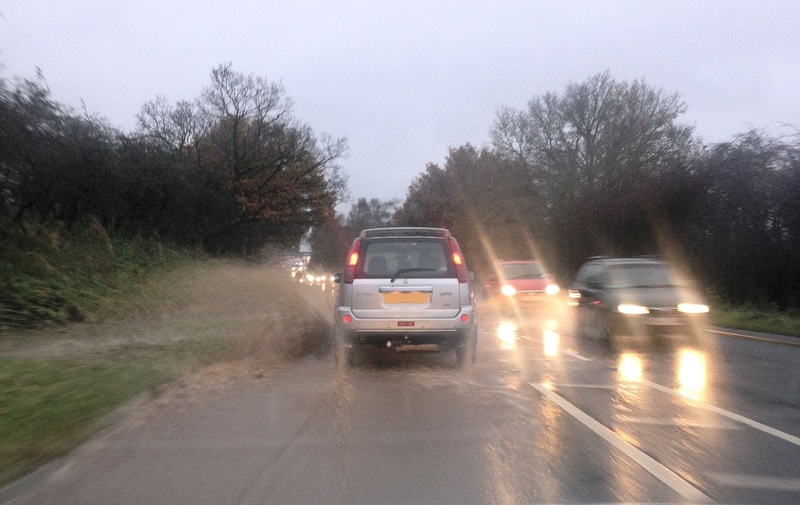 West Midlands Ambulance Service was called to the A53 at Quarnford shortly before 5.45pm today. A Community First Responder, a paramedic Area Support Officer in a rapid response vehicle and an ambulance crew attended. Thursday 17th October 2013 – 4.50pm – Suzie Fothergill. A man has been airlifted to hospital following a road traffic collision in Shropshire today. 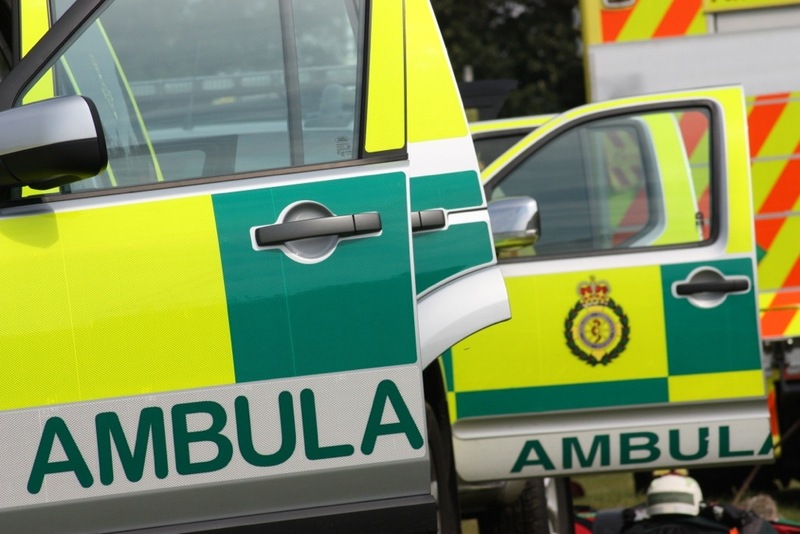 West Midlands Ambulance Service was called to the junction of the A49 and the B4365 in Bromfield, Ludlow shortly before 2.40pm this afternoon. An ambulance, a community paramedic in a rapid response vehicle and the Midlands Air Ambulance from Cosford were dispatched to the scene. A West Midlands Ambulance Service spokeswoman said: “On arrival at the scene crews found a cyclist and a small van that had been in collision. “The cyclist, a man, was found lying in the carriageway and had sustained serious multiple injuries. The man was fully immobilised and given pain relief at the scene before being airlifted to the major trauma centre at Queen Elizabeth Hospital Birmingham. “The hospital was pre-alerted and medics were on standby awaiting the arrival of the man. Thursday 17th October 2013 – 10.30pm – Chris Kowalik. 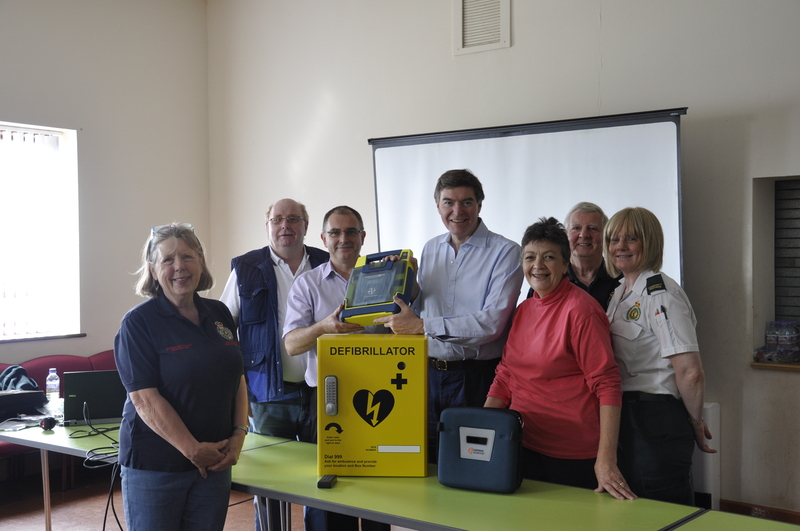 46 people in Telford have been taught how to help save the life of someone who suffers a cardiac arrest. 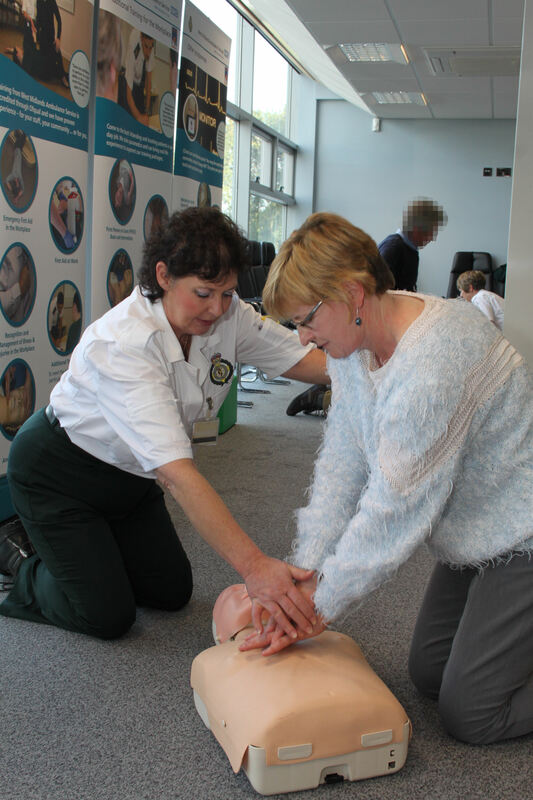 On Wednesday, October 16th, the inaugural ‘European Restart a Heart Day’ was marked at the headquarters of SP Services where trainers from West Midlands Ambulance Service gave free public courses in CPR (Cardio-Pulmonary Resuscitation). The European Resuscitation Council believes with more people learning the techniques, 100,000 lives could be saved each year across Europe. Antoinette Cox (pictured below) was one of the visitors to SP Services. She explained her husband has had heart problems in the past. 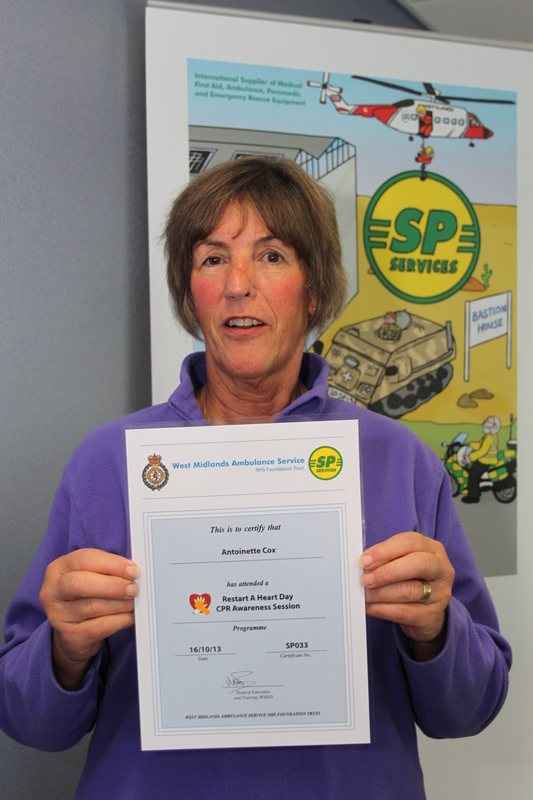 Above: Antoinette Cox pictured with her training certificate. By performing CPR you can do nothing wrong, the only thing that can be wrong is doing nothing. Thursday 17th October 2013 – 8.40am – Chris Kowalik. Two people have been injured, one seriously, in a collision involving three vehicles in Warwickshire. 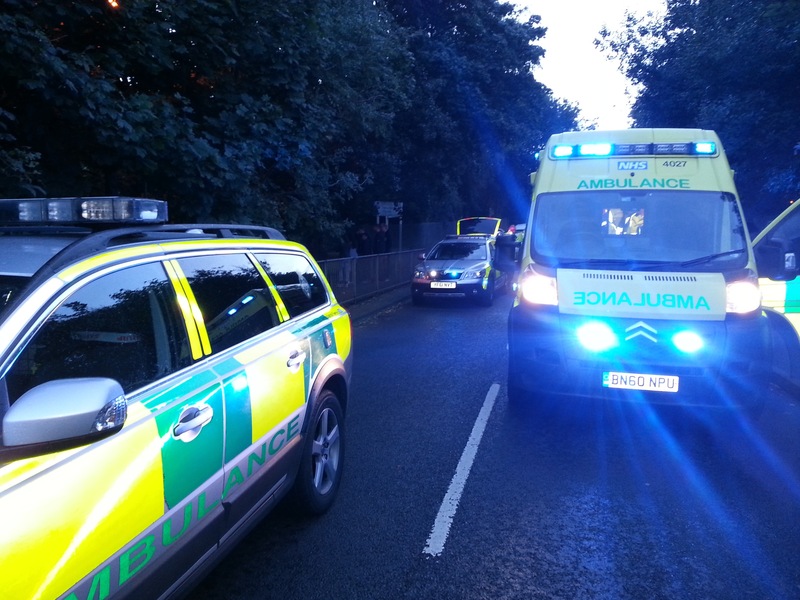 West Midlands Ambulance Service was called to the A46 at Stoneleigh shortly after 8pm last night (Wednesday). An advanced community paramedic in a rapid response vehicle, a paramedic area support officer in a rapid response vehicle, a BASICS Emergency doctor, two ambulance crews and the MERIT trauma team consisting of a trauma doctor and critical care practitioner attended. A West Midlands Ambulance Service spokesman said: “A woman driver in her forties was trapped in her car. She was freed by the fire service. She had numerous serious injuries, was fully immobilised and was taken to University Hospital Coventry and Warwickshire which had been put on alert. “A male driver was already out of his vehicle. He had minor injuries and was taken to Warwick Hospital. Wednesday 16th October 2013 – 2.30pm – Steve Parry. Two lorry drivers have been treated by ambulance crews following a road traffic collision in Crudgington near High Ercall, this morning. West Midlands Ambulance Service was called to the incident in Cotwall Lane, off the B5062, just before midday. An ambulance, together with the Medical Emergency Response Incident Team (MERIT) was sent to the scene. “A man, believed to be in his thirties, was trapped in his lorry for over an hour. He was treated for back and head injuries. “The patient was later released and taken by land ambulance to Royal Shrewsbury Hospital for further assessment and treatment. Wednesday 16th October – 11.50am – Steve Parry. A motorcyclist has been taken to hospital following a road traffic collision in Ettington, near Stratford upon Avon, earlier today. West Midlands Ambulance Service was called to an incident on Warwick Road just before 10.15am. An ambulance, a paramedic in a rapid response vehicle, together with a paramedic officer and the Warwickshire and Northamptonshire Air Ambulance attended the scene. A West Midlands Ambulance Service spokesman said: “Crews responded to a collision between a vehicle towing a horsebox and motorcycle. 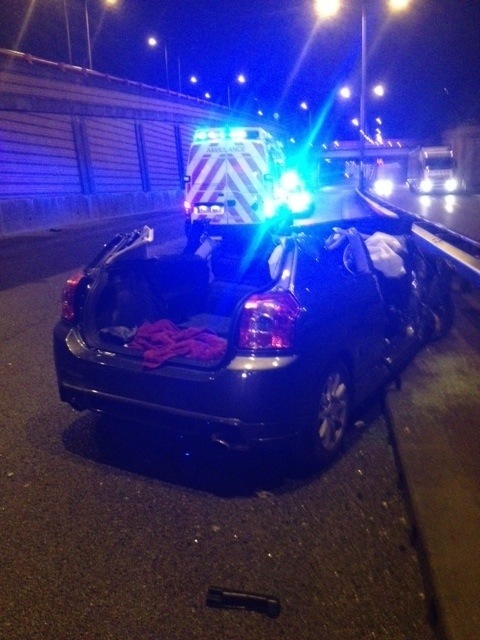 “Crews treated a male in his twenties for shoulder, foot and pelvic injuries. Tuesday 15th October 2013 – 2.00pm – Murray MacGregor. 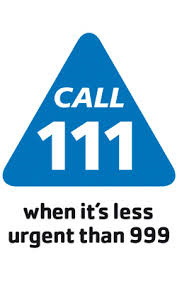 Contracts have now been signed for West Midlands Ambulance Service (WMAS) to step-in and lead on the NHS111 service from NHS Direct the West Midlands with effect from 11th November 2013. This follows contract negotiations and the joint development of clear improvement plans for the service. WMAS is being asked to deliver the 111 service in Birmingham, Solihull, the Black Country, Shropshire, Herefordshire, Coventry and Warwickshire only. Andy Williams, Lead Commissioner for the NHS111 Project Team said: “We have been working towards this step-in arrangement since NHS Direct announced its withdrawal from the contract. We are confident that West Midlands Ambulance Service will deliver an improved service for our patients and public. 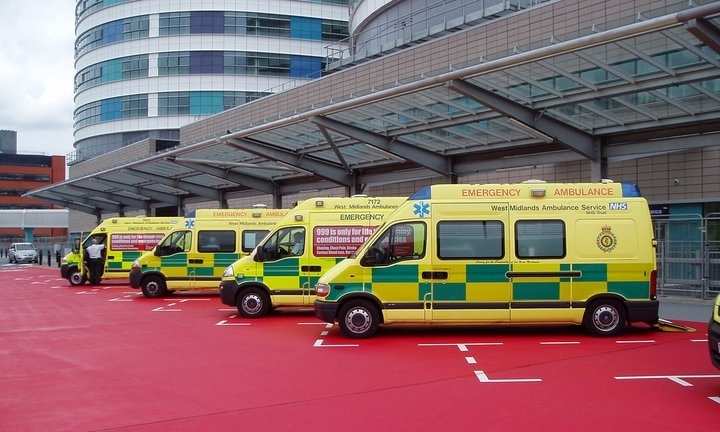 “WMAS has already implemented an upgraded training programme for call handling staff which will improve the clinical governance process and this will continue for the next few months. In addition, as new staff are recruited into the call handling team, they will undergo this enhanced training package before becoming operational. The NHS Direct 0845 46 47 telephone number will be switched off at the end of November in the West Midlands region and callers will be advised to hang up and re-dial NHS111 which is a free service. Very quick update on this appalling case and it is good news; the member of staff who suffered a fractured skull has been discharged from hospital and is said to be recovering well. Thank you for all of the many good will messages that you have been sending through. We will ensure that we pass them on to our colleagues at North West Ambulance Service. Tuesday 15th October 2013 – 10am – Chris Kowalik. Ash O’Malley is 34, works as a mechanical design engineer and lives in Hereford. He was trained in First Aid at work but wanted to take it to an advanced level and that is why he became a Community First Responder (CFR); one of a number of people who volunteer their free time to respond to medical emergencies near them while an emergency ambulance vehicle is en-route. 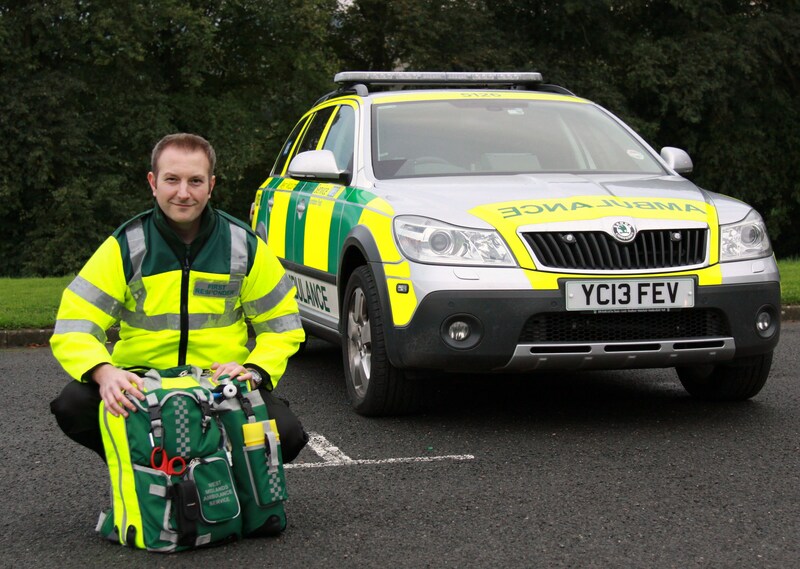 He is also currently training to become an instructor for the Herefordshire Heartstart charity. 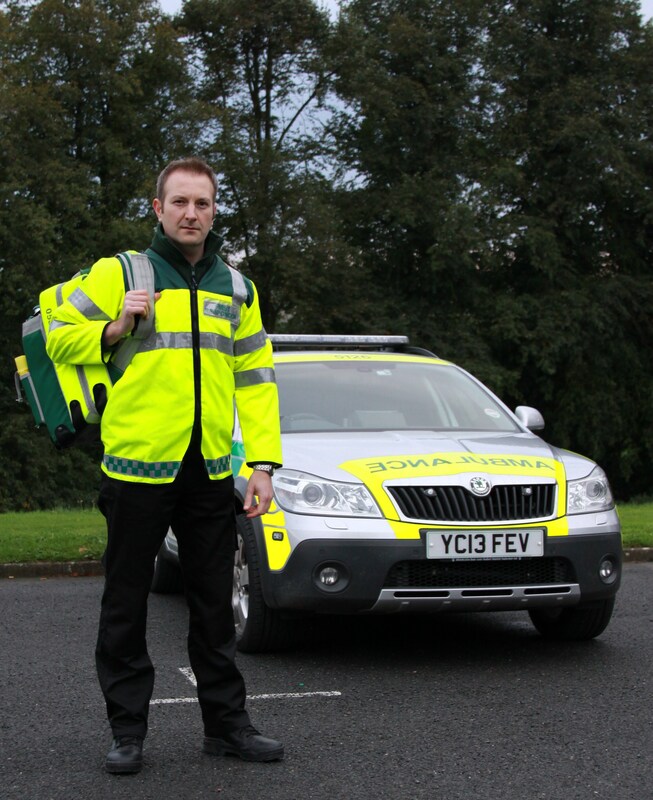 Ash has been a CFR for two years and recently attended his one-hundredth incident: “I’ve responded to care homes, a coffee shop, car parks and a football club amongst calls to domestic addresses. The training provided by West Midlands Ambulance Service for Community First Responders is on-going and continuous. Ash explained: “We receive monthly training. Every year we have an update of new procedures and we have to re-qualify every three years. Last year I was very fortunate to be invited to the control room where I listened to emergency calls coming in, and then watched the dispatchers sending vehicles out to the cases. “A friend of mine who is a paramedic roped me into playing a ‘live’ casualty in an exercise to simulate a large incident earlier in the year. I was an injured front-seat passenger of a car wedged under a 52-seater bus on a cold January evening. It was a good insight into how to deal with patients and the importance of communicating well with them. Tuesday 15th October 2013 – 6.35am – Murray MacGregor. One man has been treated for minor injuries after a massive fire at a dairy in Worcestershire. Fire and ambulance services were called to Robert Wiseman Dairies in Wassage Way, Hampton Lovett near Droitwich at around 10.40pm last night (Monday). An ambulance, two ambulance officers and the Hazardous Area Response Team were sent to the scene. A West Midlands Ambulance Service spokesman said: “Initial reports suggested that there was a large electrical fire and that explosions had been heard at the scene. 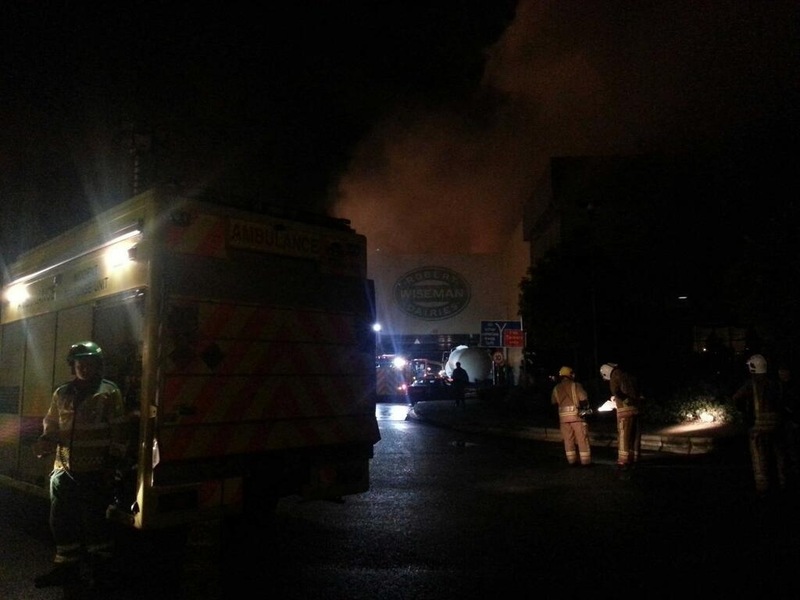 “Ambulance staff stood by at the entry point being used by firefighters to go into the blaze. “Staff from the HART team were kitted up in breathing apparatus to support their fire colleagues if required. “Thankfully, there was only one casualty, an engineer, who had a minor head injury and was treated at the scene. We were shocked to hear about a vicious attack on a colleague from North West Ambulance Service who has been left with a fractured skull after being attacked while trying to help a patient. Like NWAS, we will not tolerate violence against our staff. We will always ask the Courts to hand down the toughest possible sentences in cases such as this. Thankfully, attacks are still relatively rare, but even one attack is one too many. The good news is that there was an update this afternoon that Lancashire Police have arrested a 19 year old man in connection with the incident. Sunday 13th October 2013 – 6.00pm – Claire Brown. An elderly man has been injured in a road traffic collision in Wolverhampton this morning. West Midlands Ambulance Service was called to Stafford Road near to Bee Lane, Fordhouses, shortly after 10.15am today (Sunday). An ambulance, a paramedic area support officer, a responder paramedic and the Midlands Air Ambulance from Cosford with a MERIT trauma doctor on board attended the scene. A West Midlands Ambulance Service spokeswoman said: “On arrival crews found a pedestrian who had been in collision with a car. “The elderly man, believed to be in his 70s, sustained a head injury, shoulder and knee pain. 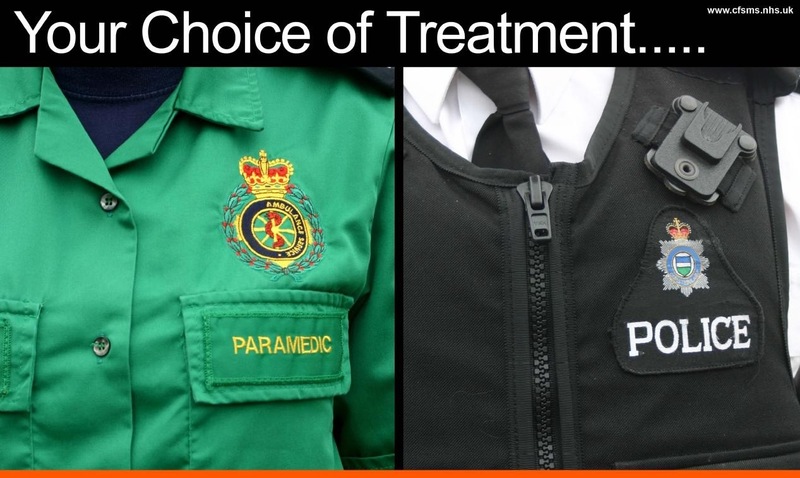 Crews and the medic stabilised his condition on scene with pre hospital treatment and administered pain relief to the man before he was taken by land ambulance on blue lights to New Cross Hospital. Saturday 12th October 2013 – 6.15pm – Claire Brown. One man has died and a second has been seriously injured in a two car crash in Worcester earlier today. West Midlands Ambulance Service was called to the A4538 Pershore Lane near to the Sixways Stadium in Worcester shortly after 2.15pm this afternoon (Saturday). Two ambulances, a paramedic area support officer, the Midlands Air Ambulance from Cosford with a MERIT trauma doctor on board and a second Midlands Air Ambulance from Strensham attended the scene. “One man was trapped in the wreckage in one car and was in a serious condition. Whilst ambulance crews began treating the man his condition deteriorated and he went into cardiac arrest. “Ambulance staff worked as a team to administer advanced life support in an attempt to resuscitate the man. Sadly, despite the best efforts of ambulance crews and the medic, nothing could be done to save man and he was confirmed dead at the scene. 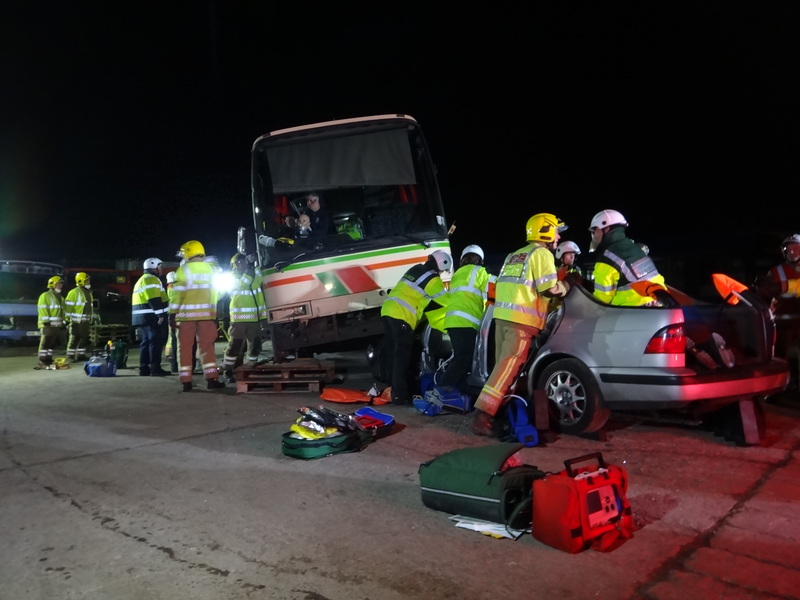 “A 59 year old man from the second car was also trapped and had sustained fractures to his ankles as well as injuries to his hip, wrist and pelvis. Once the man had been stabilised with pain relief, ambulance staff worked with the fire service to carefully extricate him from the car. Thursday 10th October 2013 – 4.30pm – Claire Brown. A motorcyclist has been taken to hospital after being injured in a road traffic collision in South Staffordshire. West Midlands Ambulance Service was called to the A460 just before the M54 junction shortly before 10.45am this morning (Thursday). An ambulance, two responder paramedics and the Midlands Air Ambulance from Cosford with a MERIT trauma doctor on board attended the scene. A West Midlands Ambulance Service spokeswoman said: “The road traffic collision involved a car and a motorcycle. The motorcyclist, a man believed to be in his 40s, sustained a nasty fracture to his leg as well as injuries to his arm. “Crews and the medic worked to stabilise his condition on scene by administering pain relief and drugs before he was immobilised with a neck collar, spinal board and traction leg splint. The man was then taken by land ambulance to New Cross Hospital. Thursday 10th October 2013 – 2.30pm – Chris Kowalik. 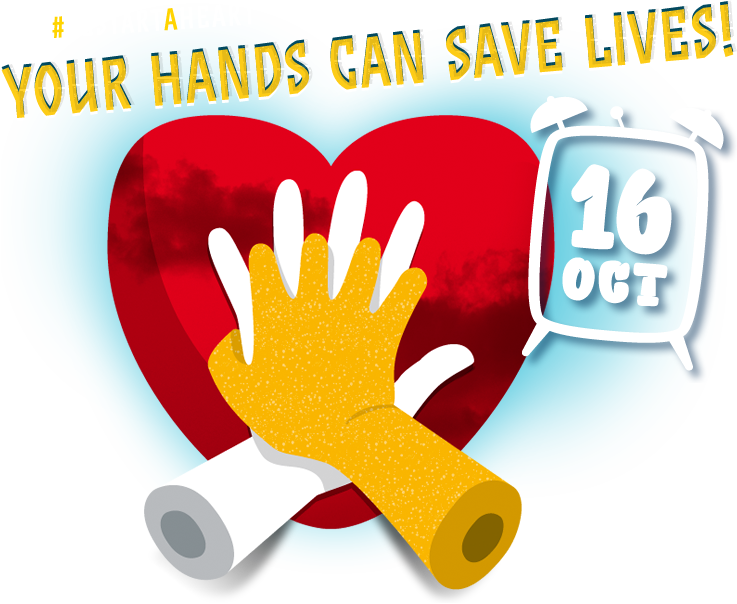 October 16th, 2013 = European restart a heart day. Let’s save more than 100,000 lives! The very first ‘European Restart a Heart Day’ to teach members of the public how to help restart the heart of someone who has suffered a cardiac arrest will be held this autumn, organised by the European Resuscitation Council (ERC). The initiative, which takes place on October 16th, targeting particularly Europe’s younger people, aims to improve the very low numbers of people surviving out-of-hospital cardiac arrests. 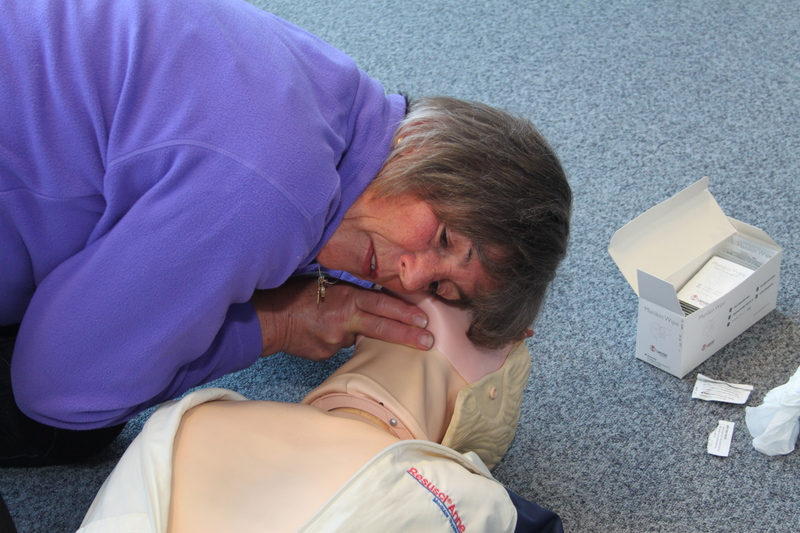 On the day, West Midlands Ambulance Service will join medical supply firm SP Services at the company’s HQ in Telford to give members of the public a free course in Cardio-Pulmonary Resuscitation (CPR); procedures which everyone can learn and which, one day, may save someone’s life. Paul Watts, SP Services’ Sales Manager and former instructor with London Ambulance Service said: “There can be nothing worse than standing around unable to help when someone collapses in front of you. Taking the time to learn a few basic steps may one day save the life of a family member or a stranger in the street. Thursday 10th October 2013 – 1.30pm – Claire Brown. A man has been seriously injured after the moped he was riding collided with a car in a Warwickshire village. The incident happened on Snitterfield Lane in Snitterfield shortly before 9.45am this morning (Thursday). An ambulance, a paramedic area support officer and the Midlands Air Ambulance from Strensham attended the scene. A West Midlands Ambulance Service spokeswoman said: “The moped rider, a man in his 30s, had sustained multiple injuries and was being cared for by locals when the emergency services arrived. “Upon assessment, ambulance crews found he had sustained a head injury together with suspected fractures to his shoulder, pelvis and ankle. The man was given pain relief and intravenous drugs before being fully immobilised to stabilise his suspected fractures. “The man was then airlifted to University Hospital Coventry and Warwickshire, a regional trauma centre, for further treatment. Thursday 10th October 2013 – 12.20pm – Claire Brown. A man has been airlifted to hospital following a collision involving two cars and a lorry in Shrewsbury this morning. West Midlands Ambulance Service was called to Olden Lane, in Ruyton XI Towns shortly before 9.00am today (Thursday). An ambulance, a paramedic officer, an area support officer and the Midlands Air Ambulance from Cosford with a MERIT trauma doctor on board attended the scene. A West Midlands Ambulance Service spokeswoman said: “Upon arrival crews found two cars and a lorry which had been involved in a collision. The driver of one car, a man believed to be in his 30s, was trapped in the wreckage. “Ambulance staff worked to assess the man and found he had suffered suspected fractures to his leg and pelvis. The team stabilised his condition with various drugs and administered pain relief to make him more comfortable before working with the fire service to carefully extricate the man from the car. 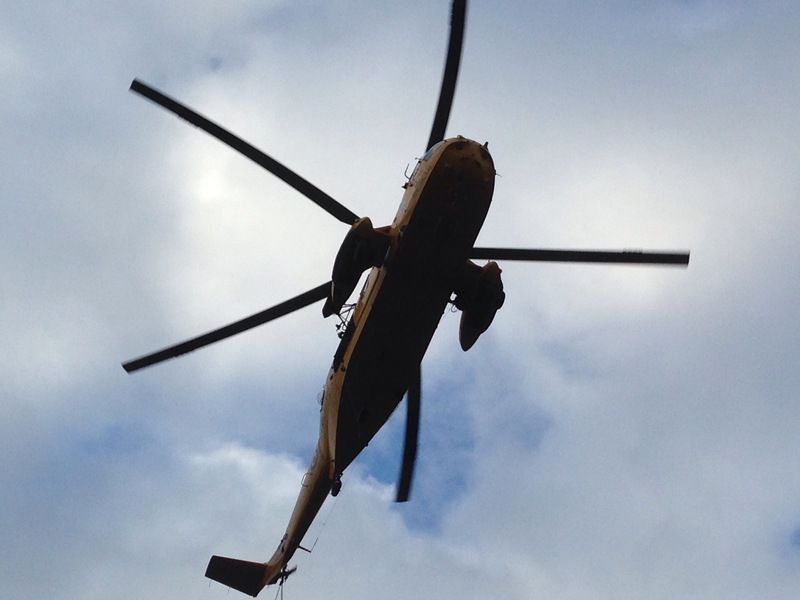 “The man was fully immobilised with a neck collar, spinal board, pelvic and leg splints before being airlifted to University Hospital of North Staffordshire, a regional trauma centre, for further emergency treatment. Wednesday 9th October 2013 – 3.00pm – Suzie Fothergill. Four men have been treated by ambulance crews following a road traffic collision in Coventry today. West Midlands Ambulance Service was called to the junction of Fivefield Road and Tamworth Road in Keresley End shortly before 10.20am this morning. Two ambulances, a rapid response vehicle, a paramedic area support officer and the Warwickshire and Northamptonshire Air Ambulance were dispatched to the scene. West Midlands Ambulance Service spokeswoman said: “Crews were called to reports of a motorcyclist and a car that had been in collision. “The motorcyclist, a man believed to be in his 50’s, had sustained multiple injuries. The man was fully immobilised and given pain relief at the scene before being conveyed, via land ambulance, to University Hospital of Coventry and Warwickshire. 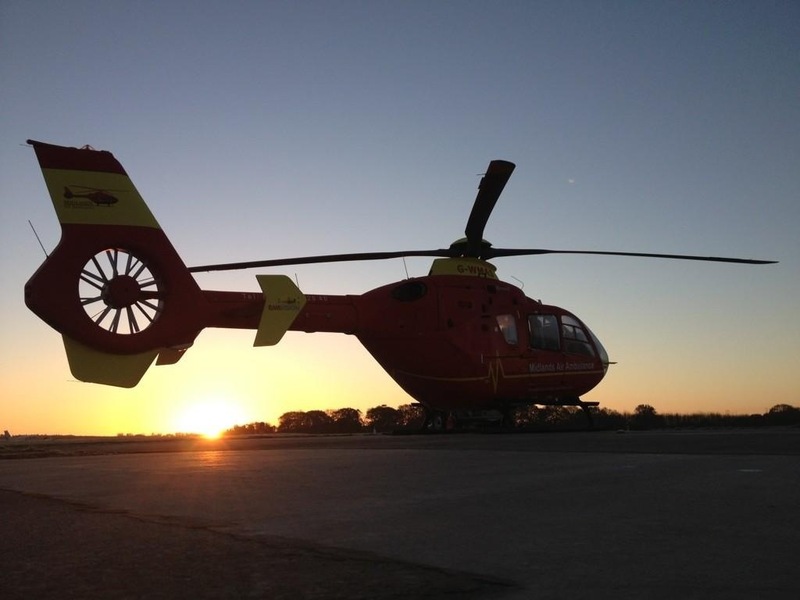 “The doctor from the air ambulance travelled aboard the land ambulance continuing to provide emergency medical treatment, alongside the crew whilst en route to hospital. Hospital medics had been pre-alerted to the arrival of the man and of his injuries. Two men have been injured following a road traffic collision in Warwickshire today. West Midlands Ambulance Service was called to Ardens Grafton in Alcester shortly after midday. An ambulance, a rapid response vehicle, a paramedic area support officer, a medical first responder and the Midlands Air Ambulance from Strensham were dispatched to the scene. A West Midlands Ambulance Service spokeswoman said: “Crews were called to reports of two cyclists that had fallen from their bicycles. “The first cyclist, a man believed to be in his 60’s, was treated for head and facial injuries. The man was fully immobilised before being airlifted to Alexandra Hospital for further assessment and treatment. Wednesday 9th October 2013 – 10.35am – Chris Kowalik. 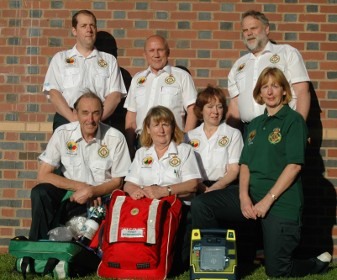 An appeal has been made for Community First Responders (CFRs) in south Worcestershire. Volunteers are particularly needed in Broadway and surrounding villages. Monday 7th October 2013 – 9.10pm – Chris Kowalik. A motorcyclist has died following a collision with a lorry in the Black Country. West Midlands Ambulance Service was called to Watling Street, Brownhills shortly after 4.20pm today. An advanced community paramedic in a rapid response vehicle, a paramedic area support officer in a rapid response vehicle, an ambulance crew and the Midlands Air Ambulance from Cosford attended. Sunday 6th October 2013 – 9.05pm – John Hawker. A man has died following a microlight aircraft crash near Stourbridge this evening. The crash occurred in a field near Bridgnorth Road, Stourton at around 5.55pm. An ambulance, the Trusts Hazardous Area Response Team and the Midlands Air Ambulance from Cosford attended the scene. A West Midlands Ambulance Service spokesman said: “Crews arrived to find a microlight aircraft that is believed to have been in collision with pylons and crashed into a field. Sunday 6th October 2013 – 6.00pm – John Hawker. A cyclist has been injured following an RTC in Shropshire this afternoon. The crash occurred on a country lane in Chatwall, north east of Church Stretton at around 1.00pm. An ambulance, a community first responder and the Midlands Air Ambulance from Cosford attended the scene. A West Midlands Ambulance Service spokesman said: “Crews arrived to find a cyclist that had left the road and been in collision with a hedgerow and stone wall. “The man, believed to be in his late 30’s, suffered head, shoulder and knee injuries and had been unconscious following the crash. “He received emergency treatment at the scene and his condition was stabilised. Saturday 5th October 2013 – 10.45am – John Hawker. A woman has been cut from the car she was driving following a crash in Telford this morning. The crash occurred on Brockton Way, Queensway, Telford at around 7.40am. An ambulance, a rapid response vehicle, a paramedic officer and the Midlands Air Ambulance from Cosford attended the scene. A West Midlands Ambulance Service spokesman said: “Crews arrived to find a car that had left the road and been in collision with a lamppost and a hedgerow. “The woman driving the car, a 27 year old woman suffered suspected back and pelvic injuries. She was also disorientated and had been unconscious. “She received emergency treatment whilst still in the car and her condition was stabilised. She was then carefully extricated from the vehicle with the assistance of the fire service.